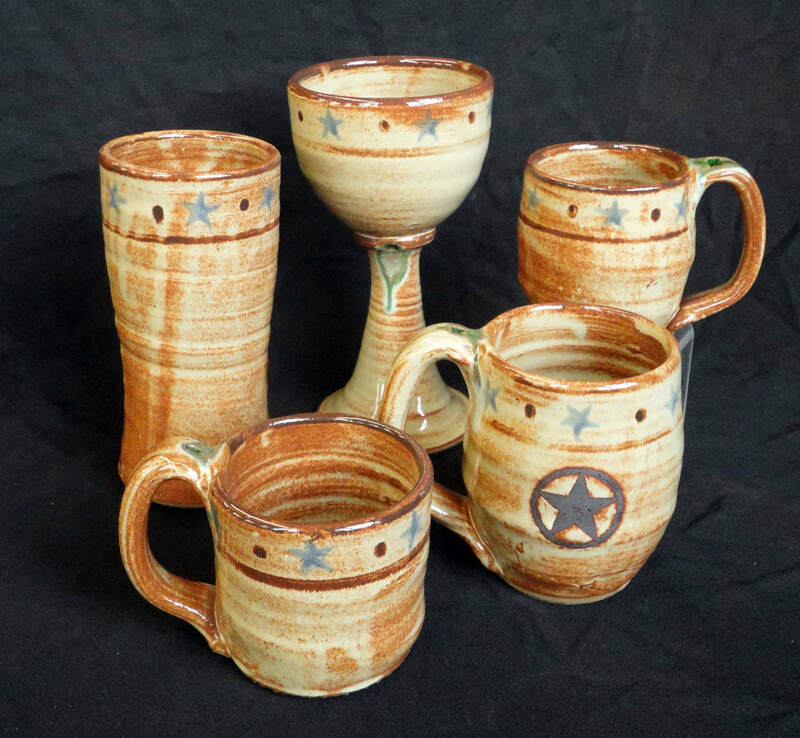 Optional drink ware (above), clockwise: Wine Chalice $34, Coffee Mug $18, Big Texas Independence Mug $29, Twisted Straight Mug $27, Large Tumbler $24. Our pottery is food safe and suitable for the dishwasher, microwave and oven. 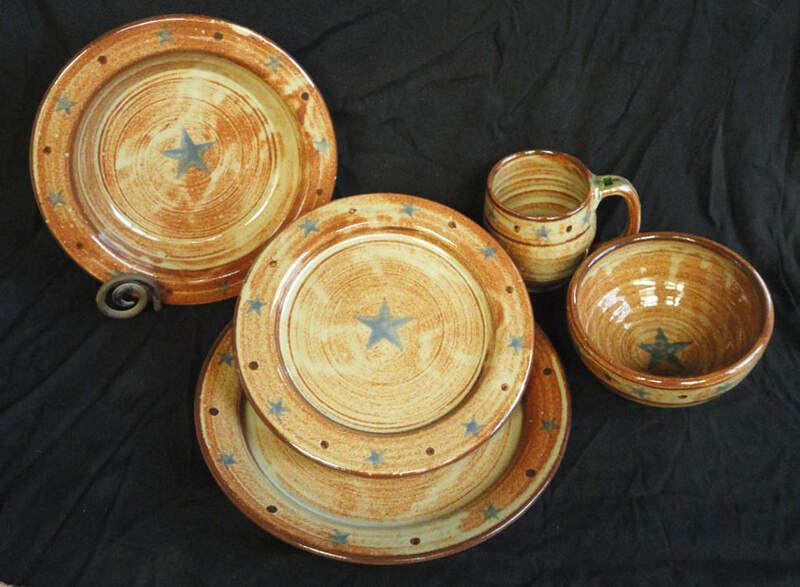 If you have always wanted a set of our popular "Texas Star Stoneware" Custom Dinnerware, January 18th through February 14th is the perfect time to place your order! We are offering 15% Off two to seven place settings, and 20% Off eight place settings or more (a minimum of three items per place setting). Orders must be placed with a 50% downpayment by 5pm February 14th. 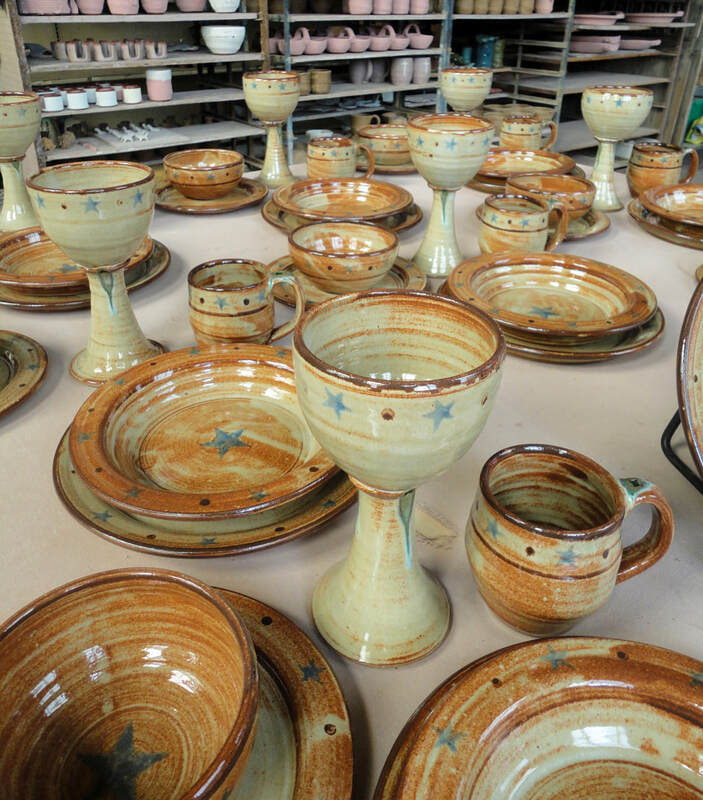 Production time for handcrafted dinnerware ranges from 10-14 weeks. Eight place setting orders are not eligible for a complementary ninth place setting with this promotion. Gift cards for orders are available. ​Please call (830) 875-6282 for more information and to place your order! "Texas Star Stoneware" dinnerware place setting, left to right: Stew Bowl $28, Dinner Plate $36, Lunch/Salad Plate $26, Coffee Mug $18, Cereal Bowl $18.